Released in Conjunction with Edit: Controlling Networked Publishing, an event series at the Kelly Writers House, University of Pennsylvania. With one-paragraph excerpts from Charles Bernstein, Friedrich Kittler, the American Management Association, and others. 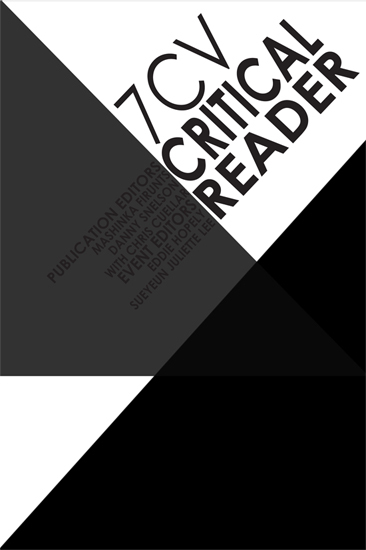 For a full PDF of the Critical Reader, visit: http://aphasic-letters.com/edit/publications.html. A RANGE OF PUBLISHING PRACTICES, WHICH IN TURN PROPOSE READING PRACTICES. BABBAGE’S ANALYTICAL ENGINE CAN DO WHATEVER WE KNOW HOW TO ORDER IT TO PERFORM.